In a series of pastels made in the fall of 1934, Joan Miró pursued what he called “aggressiveness” through color. Rendered in acidic, highly saturated and dissonant hues of thickly applied pastel, the isolated figure of Woman (Opera Singer) appears to protrude from the paper’s surface, Her asymmetrical head, twisted open mouth, overinflated genitalia, and single toenail resist the corporeal ideals embraced by the various fascist parties that were gaining power across Europe at the time. 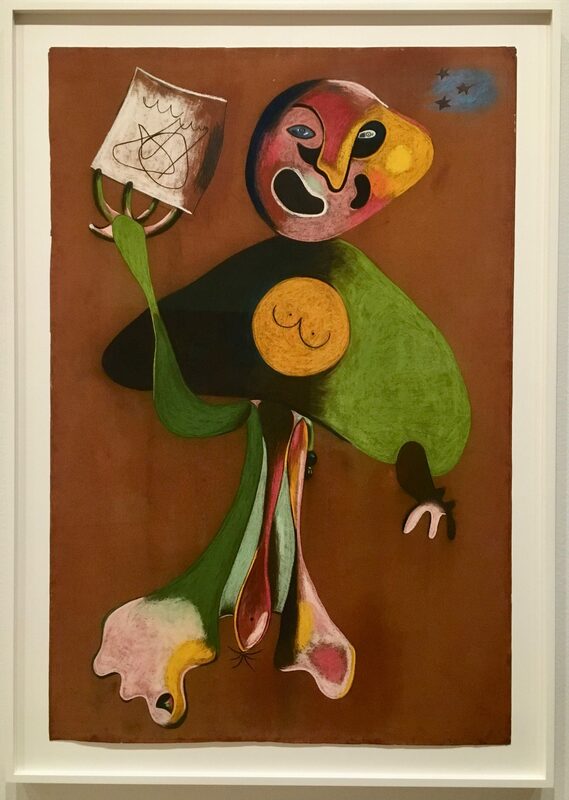 Photographed as part of the Exhibit Joan Miró, Birth of the World, on View at The Museum of Modern Art Through June 15th, 2019. 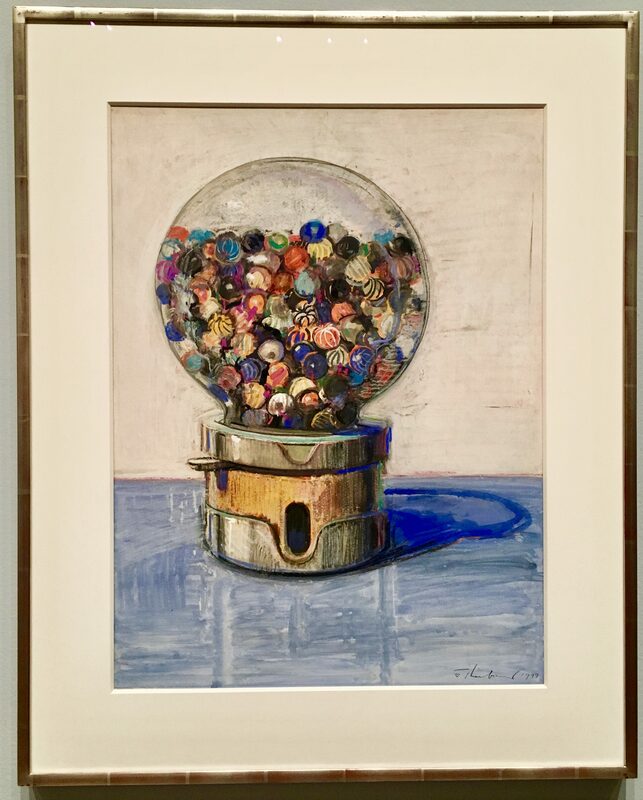 Photographed as Part of the Exhibit, Wayne Thiebaud, Draftsman, Which is on View at The Morgan Library in NYC Through September 23rd, 2018.